According to experts, sharing too much on social media while traveling can make that person a target of thieves. These days, many burglars use social media to find out if someone’s home is empty – and people tend to leave their homes empty especially during the summer vacation. 2. Realize that everything you post online will stay online. Tweets or photos that one posts as a college student will still be there when they are a company director down the road. Therefore, online privacy might have a different value to the same person after some years. To stay protected, don’t post anything now that you might regret later. 3. Never share personal data on Facebook. Do not enter your address or phone number on Facebook where it can be visible to anyone. Do not create status updates sharing vulnerable information. 4. Don’t overshare feelings, not only data. People who share their feelings on social media often get bullied, while others look on and allow harassment to happen. It’s more advisable to share personal feelings in close and friendly circles than publicly. 5. Protect your location. Keep your whereabouts private by using a VPN. A VPN is a Virtual Private Network that hides your IP address and your location. By connecting to another country’s server, you can set your location to virtually any place in the world. 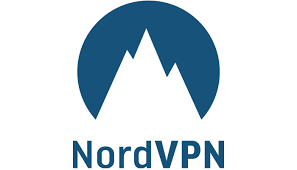 NordVPN is one of the most advanced VPN service providers in the world as it uses leading industry encryption methods and keeps no customer logs. 6. Understand the dangers of free public Wi-Fi. Cafes, shops, and even school cafeterias offer unsecured Wi-Fi networks. Users need to be especially cautious when connecting to these networks – as they can easily be monitored. Hackers can easily position themselves as a Wi-Fi hotspot or use special software to steal data from unprotected networks. One of the best ways to safely use public Wi-Fi is by installing a VPN.